Our new, easy-to-use and fun website lets you follow the progress of your land as we prepare for your Merrifield dream home! Before you build your Merrifield home, we have to build the surrounding infrastructure. 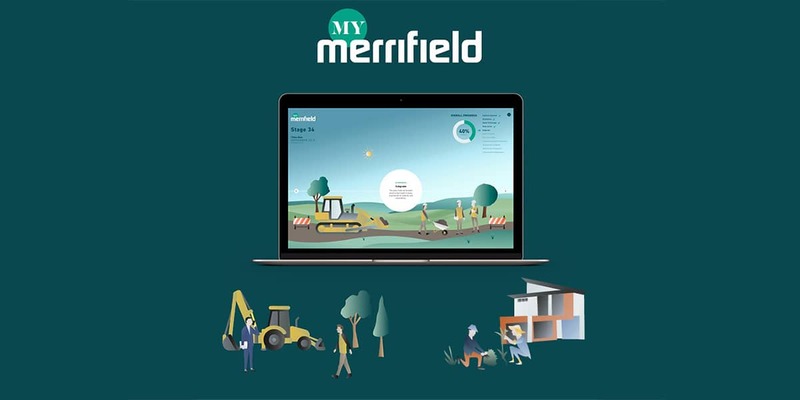 From initial Authority Approval through to final Titles and Plan Registration, every step is explained in an easy-to-follow visual timeline on your new My Merrifield website. Each step is ticked-off as it’s completed. The overall progress is highlighted and we also provide an estimated completion date. Oh, and did we mention that it’s fun to use? As well as the timeline, on My Merrifield you’ll find helpful tools and essential information that you’ll need along the way. You can download our design guidelines, submit plans and even learn how to apply for your landscape rebate, all in the one place! Click here to check it out now and see how far we’ve come!